Dr. Maroon is a practicing board-certified neurosurgeon in the Pittsburgh area and team neurosurgeon for the Pittsburgh Steelers. 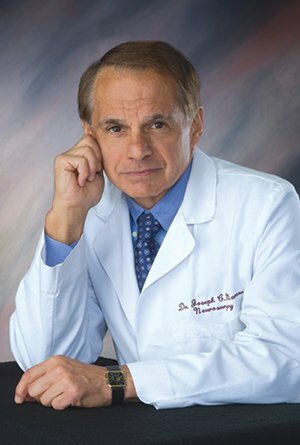 He is regarded as a premier specialist in the surgical treatment of injuries and diseases of the brain and spine using specialized microscopic and minimally invasive techniques. Families can find comfort and peace of mind knowing that St. Barnabas Health System offers a secure memory care unit designed to create a supportive environment for individuals living with all forms of dementia, including Alzheimer’s Disease. The Memory Care Team at St. Barnabas provides expert clinical care for residents with all forms of dementia and is led by a physician medical director, a full-time registered nurse and a licensed nursing team. Our team also includes professionals with Certifications from The Alzheimer’s Association. Team members are specially trained to understand, communicate and interact with memory-impaired individuals. They deliver care with exceptional patience, compassion and skill, within a soothing home-like setting. A Memory Care resident plays cards with a volunteer. 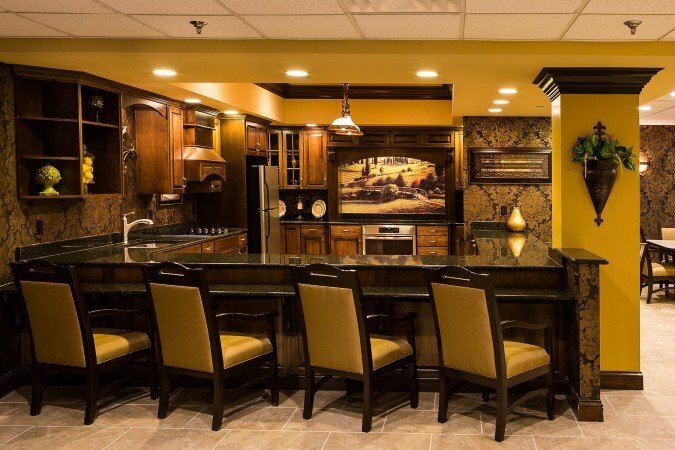 St. Barnabas Memory Care unit’s newly renovated kitchen and dining area are designed for group activities and daily meals. Individuals are encouraged to participate in supervised activities such as baking cookies. Residents live in private or semi-private rooms and participate in daily structured programming. They often listen to music from their youth, play games, sing songs, tell jokes, or bake cookies. The goal is to keep their minds stimulated and engaged as much as possible. Residents are encouraged to participate in group activities and to spend time working one-on-one with our memory care specialists and volunteers. That individual attention and the mental and physical stimulation often lessen dementia-related behaviors and give the resident comfort. At St. Barnabas, our Memory Care unit is carefully designed with impaired cognition in mind. The colors are soothing, the living areas are comfortable and easy to navigate, and the flooring is even to prevent falls. This helps reduce frustration and anxiety, common symptoms of memory impairment. Nutritious meals are served in a beautiful, newly renovated dining room. The food is prepared on-site by a chef, providing well-balanced and delicious cuisine. During warmer weather, residents can go outside and enjoying watching the birds or the lovely gardens in a small secure courtyard. 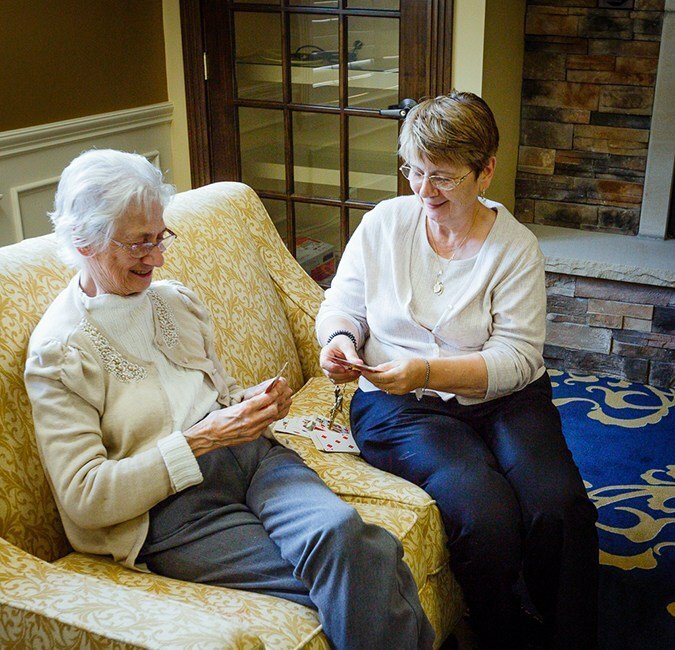 In Memory Care, residents often need assistance with everyday living, so our team is there to help with medications, bathing, grooming, eating, dressing and other daily tasks. As Alzheimer’s progresses, individuals need 24-hour supervised care. Wandering is a common symptom of the disease, so the unit is locked and monitored at all times, creating a safe, secure environment. Our physicians will check on your loved one on a regular basis and can make recommendations for both their physical and mental well-being. Memory loss affects every resident and their loved ones differently, so our goal is to understand each individual and provide the care they need in positive, caring way. A support group for caretakers & loved ones who are living with Alzheimer’s disease or other dementia. A proud partner of the Alzheimer's Association For more information, call 724-625-4000. A support group for caretakers & loved ones who are living with Alzheimer’s disease or other dementia. For more information, call 724-625-4000.